Come out to National Ice Cream Day on July 15th at Ice Cream Delight! 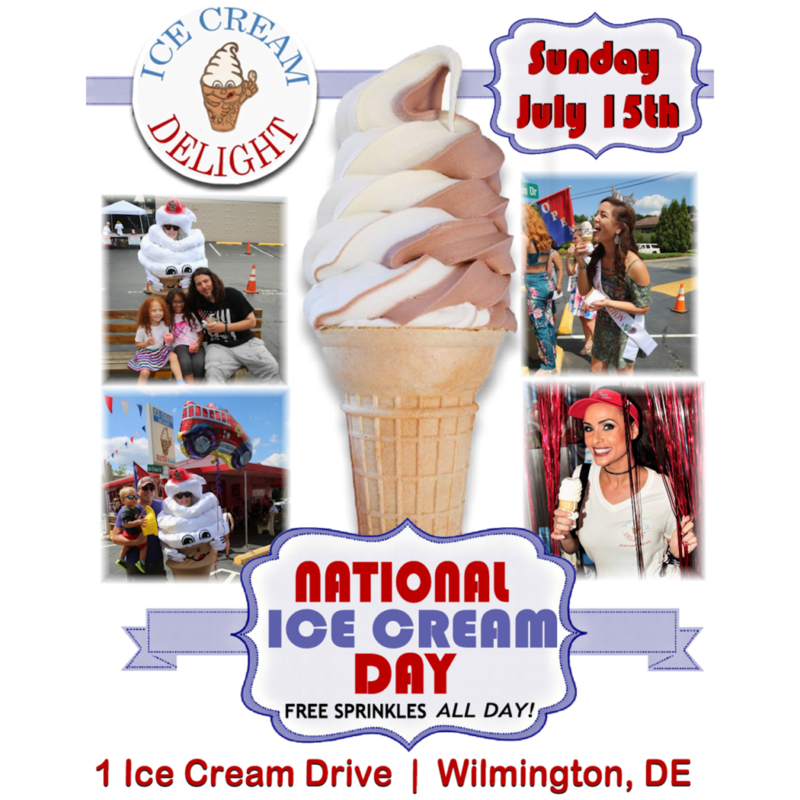 Come out to Ice Cream Delight on Ice Cream Drive in Wilmington, DE to celebrate National Ice Cream Day! Visit us at 1 Ice Cream Drive from 12 PM – 9 PM for a day of friends, fun, frozen treats and even a fire truck! Our local volunteer firefights will arrive with the fire truck at 3 PM, so bring the kids for a Special Ice Cream Day Treat! FREE SPRINKLES ON NATIONAL ICE CREAM DAY, JULY 15TH FROM 12 PM – 9 PM. 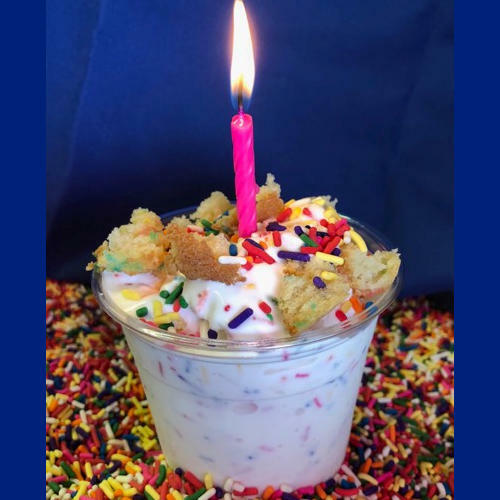 Celebrate National Ice Cream Month with our NEW Birthday Cake Arctic Swirl! Made with delicious soft serve, cake and sprinkles!